A common thread of individuals who create and live a successful life is ambition. Ambition, the desire to achieve a particular goal, while an abstract ideal, can be a tangible process. Those with ambition will first select a goal. Then, they will aim toward the goal. And finally they will decide to remain focused upon the goal until it is achieved. I once knew a gentleman who desired to be a spiritual teacher. He often jumped from one new age spiritual fad to the next hoping to eventually find the spiritual practice that best suited him. After watching his efforts over a period of years, I decided to offer a little advice in the form of a gift. I offered this young man an opportunity to teach at a weekly workshop I regularly hold. Because the workshop is free to my clients, I assumed that when I offered this opportunity to this spiritual hopeful, he would realize that his wisdom was sought mainly as my way of offering him a hand up and a way to experience teaching a large group. To my surprise, this young inexperienced man immediately began planning his class and preparing his fees. When I realized my error, I explained to him that I had invited him to teach in the hopes that he would covet the experience and the opportunity to meet like minds. Thus, after he realized that his teachings would go unpaid, he continued to agree to teach a class but with a bit less zest. Finally, after a few days, he felt prepared to teach and he showed up at the expected workshop with lesson in hands. While his ideas were accepted rather slowly by the group, they did seem to show a patience and tolerance of getting to know him better. This young man, a spiritual hopeful on his way to a new path, left the group that night after giving his new students an assignment and promising to come back to review the outcome of the given lessons. I recognized that the students had been slow to warm to him, but knew through experience that all students take their time when hearing and accepting a new teacher. In addition, I knew that the students, always kind in their nature, would eventually accept and enjoy him. Yet later, and to my surprise, this young man revealed to me that he was not interested in returning to complete his teachings. He shared that he had not received the immediate results that he wished and as I listened to his words, I suspected that he was also a bit disgruntled about not receiving payment. I considered sharing my own opinion and hard learned lessons with him; one must first gain credibility before expecting to be paid. When the teacher is ready, yes, the students will come. And they will be willing to support the teacher when the teacher has earned their trust. Also, students are often shy and slow to openly accept a stranger. The stranger, rather he be a spiritual teacher or not, must take time, persist and remain focused upon his goal. If he truly is teaching a spiritual lesson, the students will hear the spiritual truth and they will grow comfortable. But, I did not share my opinion. I simply said good bye to this struggling young man. Instead of remaining aimed at his goal, my young spiritual hopeful, moved on to his next spiritual gig, assuming that this one like many others was not for him. And, I assume that he will find many other spiritual avenues that will not work just perfectly, until her learns the lesson of ambition. True ambition, in a tangible form, is the patience of individuals who remain involved even when others beings fall away or lose interest. True ambition, in a tangible form, is the ability to persist and continue to work even when others are not listening, paying, applauding or even agreeing. And last of all, true ambition, in a tangible form, is continuing to physically do when all the others are sitting back and only thinking or talking about their spiritual plans. It is the actually doing and carrying out of ones goals that cultivates true and tangible ambition. 1. Establish a deep connection with your higher power and inner self and become certain of your goal. 2. Begin a physical list, writing down the actual steps you must take to achieve your goal. 3. Begin physically doing that which brings you closer to your goal. 4. Continue to do and do and do. 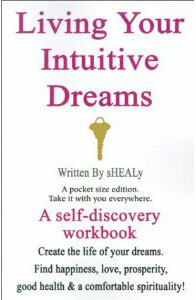 Living Your Intuitive Dreams is a self-help manuscript created by modern intuitionist, sHEALy. 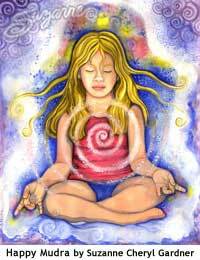 Living Your Intuitive Dreams helps you creat the life of your dreams. Dream of prosperity, good health, love, companionship, fun and adventure. You can have all of these things when you work through the exercises and record in the three journals available in this manuscript. Living Your Intuitive Dreams is filled with spirit guides, angels, magical incantations and best of all; instructions on how to perform a psychic reading for yourself and others. You will learn what intuition really is and what it is not, how to be more intuitive by aligning with your natural abilities, how to perform an intuitive reading and how to continue your intuitive development. This class is taught from a spiritually organic point of view-thus is not a class for the students who wants to be "told" why and who they are in this life. You will be given lessons and readings that promote spiritual growth that leads to the desire to be more intuitive and the ability to be more intuitive.